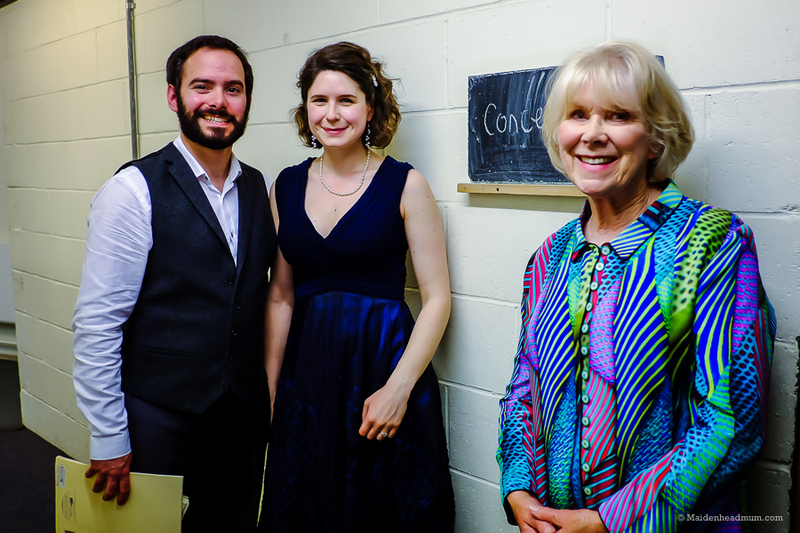 I was recently invited along to a classical music concert at Norden Farm. Not a traditional one though! 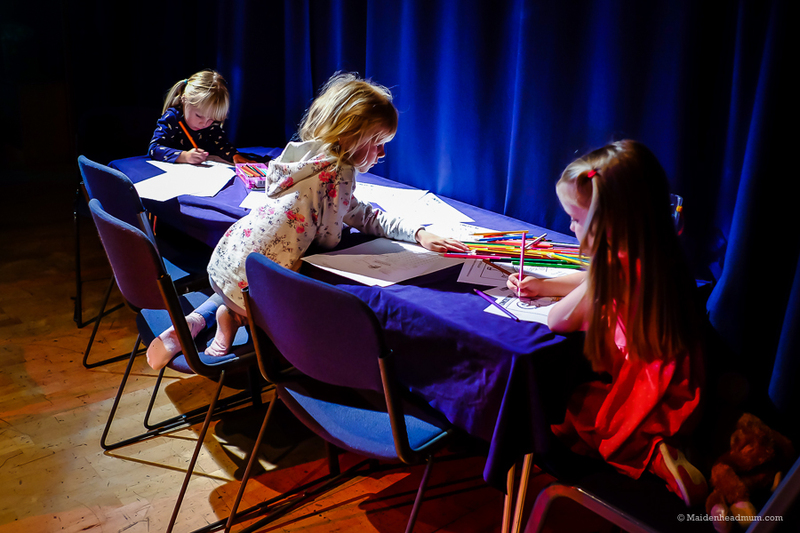 This was a concert with a difference as it wasn’t a ‘sit-in-your-seats’ kind of concert but instead, one where children are encouraged to chill out, dance or even just colour in. Concertini is definitely something a little bit special and was a great way to spend my birthday with the family. 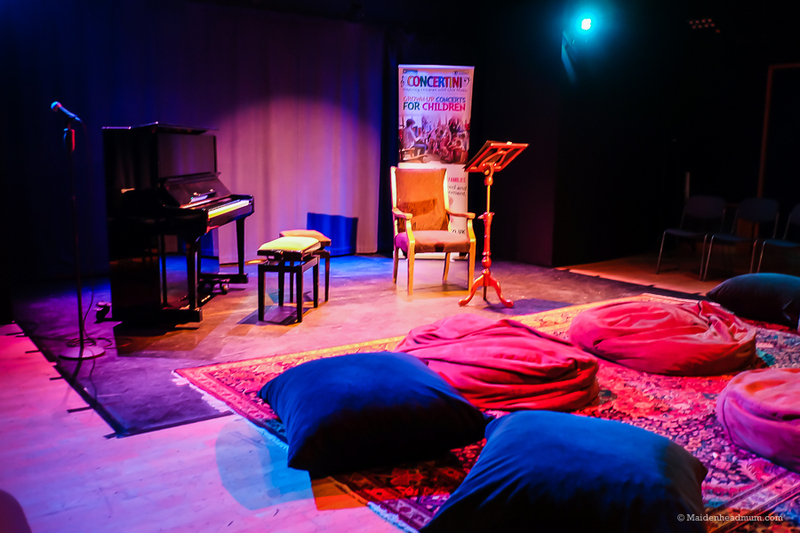 If you’ve not heard of Concertini before, then let me explain a little more about it. The idea was developed by local mum Julia Bentley Dawkes. She turned her passion for the flute and live music into something that everyone could enjoy, especially the children. 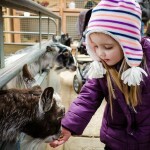 Because let’s face it, taking small children to a ‘proper’ show can be incredibly stressful, not to mention expensive. I will always remember the stress of going to a theatre performance and trying to get a bottle warmed for my baby before a show started. I was stuck in queue of people ordering G and Ts and large glasses of wine and was served by someone who had no idea of how urgently I wanted the hot water so I could get the screaming baby settled before the show. Just before the show begins… bean bags in place! 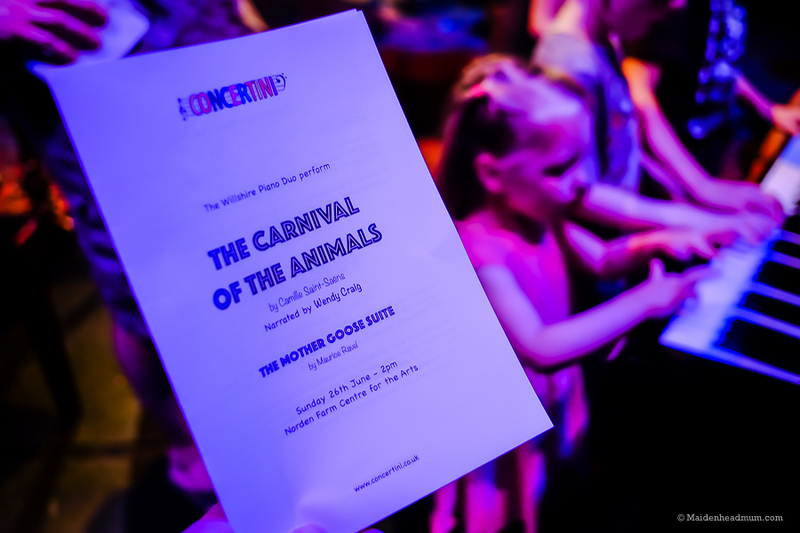 The show that I saw at Norden Farm was called ‘Carnival of the Animals’ and had music by Camille Saint-Saens played by ‘The Willshire Piano Duo’ (Pippa and James). 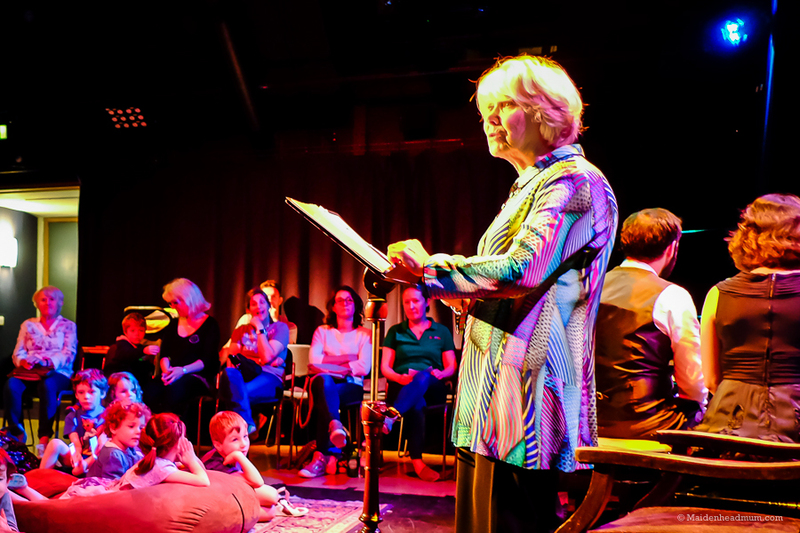 The music was mixed with readings from series of poems by Ogden Nash. They were read aloud by Wendy Craig. 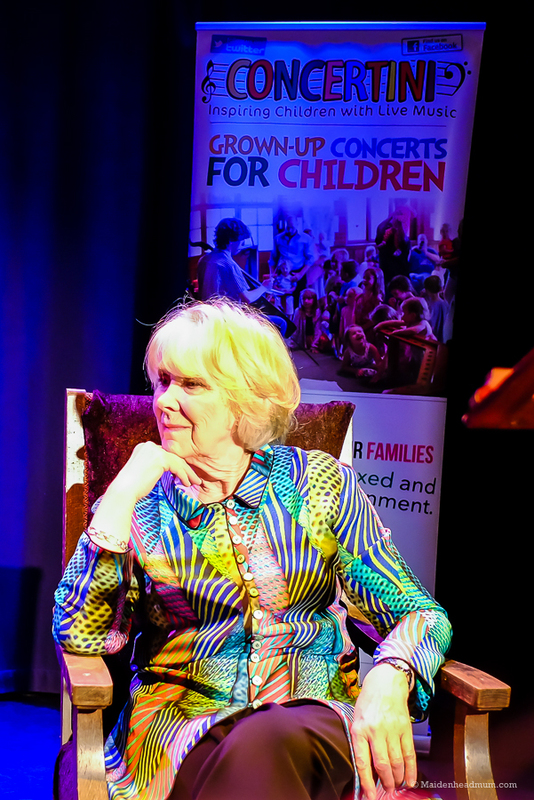 Those of you of a ‘more mature generation’ (*coughs*) will recognize Wendy from ‘Butterflies’ and ‘Nanny’, but even if you don’t recognize Wendy, her lovely tones and engaging manner make you realize that your own bed time story reading needs some serious work. I will be getting my daughter to look out for her in the new CBBC programme The Worst Witch – Wendy nipped back from filming from to be at the concert! 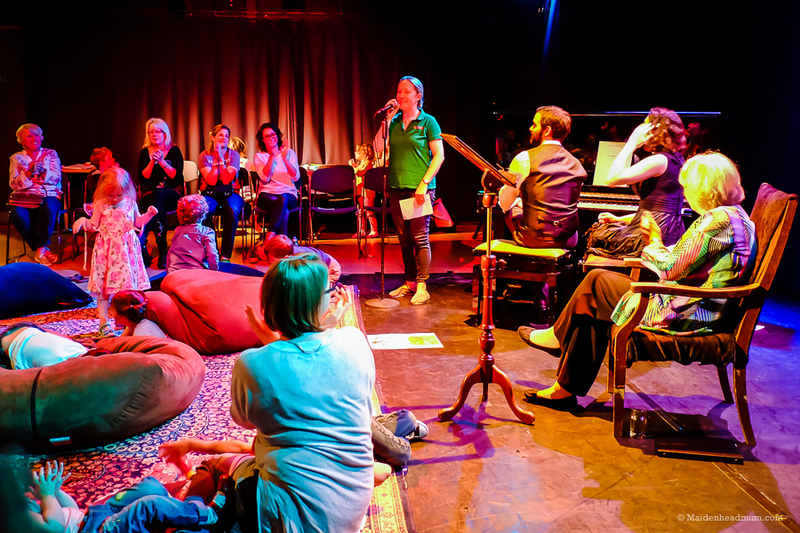 During the readings and the music the children were invited to sit, lounge and lie down at the front on comfy bean bags while the adults sat on chairs behind, or got comfy on the bean bags with them. If that didn’t rock their boat they could do some colouring in on one of the tables at the side. Anything goes. Snuggles with ‘Monkey’ and Nanna were the order of the day. I think she quite liked the idea of the bean bags but wasn’t quick enough to nab one at the start! At the end of the show she was asked to present the flowers to Wendy. I had told her to give the flowers to the lady in the green top. Which is why she is pictured here walking straight past Wendy towards Julia instead! She told me after that Wendy’s top was ‘rainbow dash’ coloured. Silly Mummy! 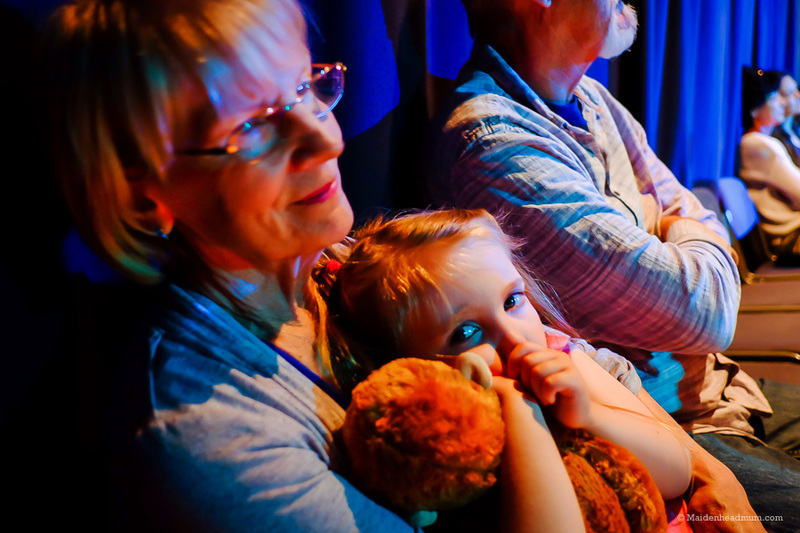 The second part of the show was The Mother Goose Suite by Maurice Ravel which depicted five fairy tales including Sleeping Beauty and Beauty and the Beast (“We do have that on our television mummy!”) I felt this part of the show resonated a bit more with the Little Lady. Pippa and James give masterclasses in schools and this came across when they talked to the children about the music they were about to play. My daughter listened as Pippa explained how the music told a story and you could hear the difference in notes between the low tones for the Beast and the higher notes for Belle. Having watched another little girl have a go at doing a ‘glissando’ on the Piano she was quite keen to take a turn at the end too. 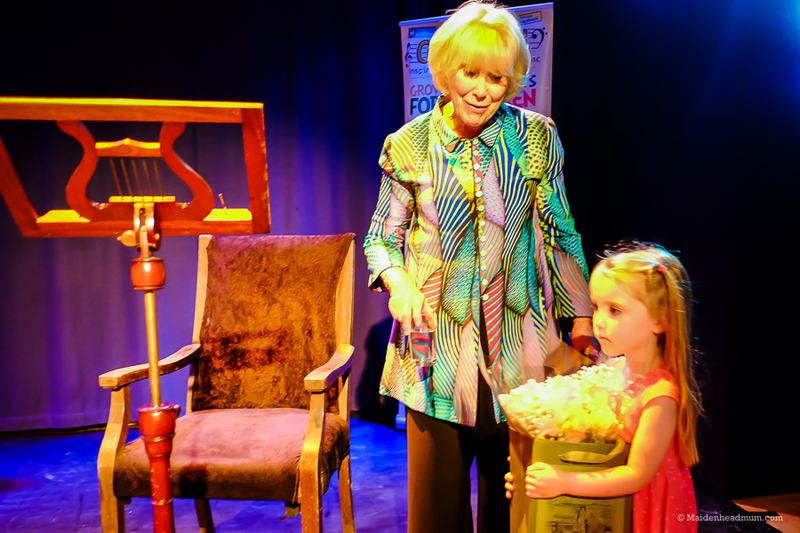 This particular Concertini was aimed at families with children aged three and above and I have a feeling that most of the readings went over my 4 year old daughter’s head. But the point is that it doesn’t actually matter. I can confidently say that when we turn the page in a storybook and they talk about a piano, or musicians or ‘putting on a show’ that she genuinely understands. 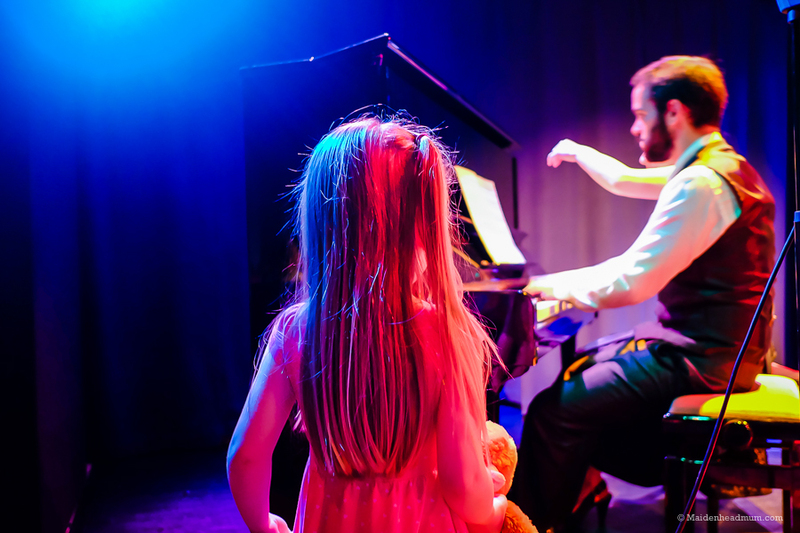 Small, family friendly concerts like these are an important way to introduce her to music performances, but without it being a chore or a bore. Imagine travelling all the way to London for a live music performance and paying full theatre price for a family ticket. How would you feel as a parent if the kids turned around and said they didn’t like it, or weren’t enjoying it? Pretty annoyed right?! You’d probably never go again. 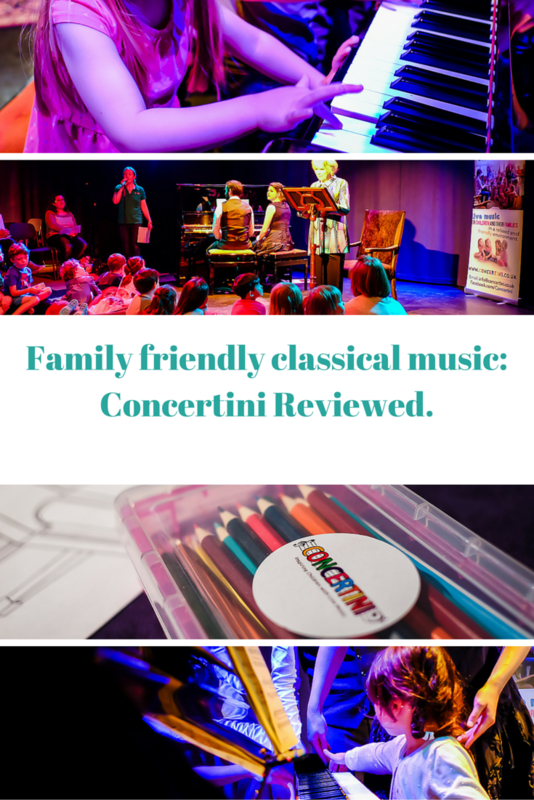 What I like about Concertini is that it gives your children the chance to experience and dabble in the classical music world. 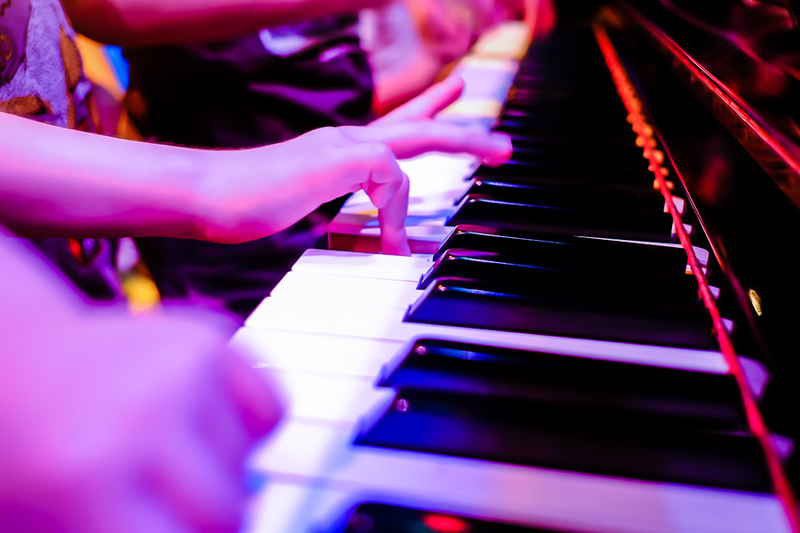 They have the opportunity to listen and experience all sorts of musical instruments being played live without any kind of pressure or prerequisite. 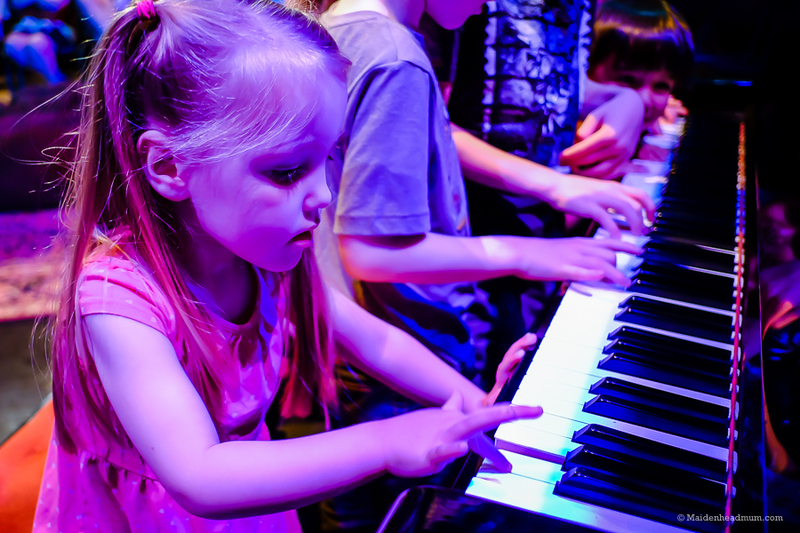 I like to think that by the time they have the option to learn an instrument themselves they’ll have more of an idea what they like and what they will love. The Little Lady was very keen to have a go herself. 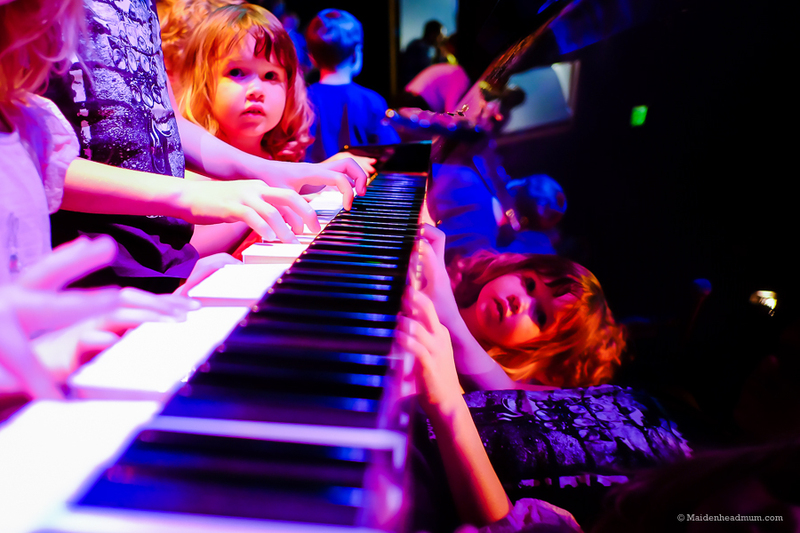 A thank you to Pippa and James who were so calm about an invasion of tiny hands onto their piano! 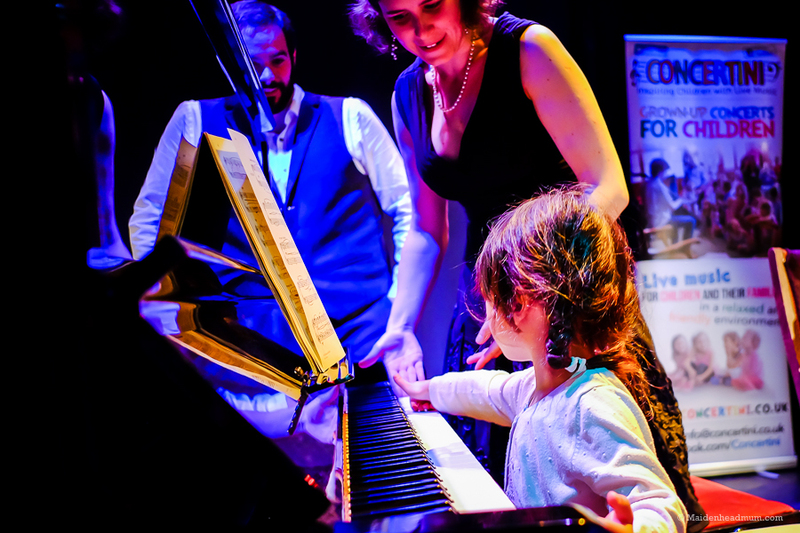 Concertini is a series of classical music concerts for families and children at family friendly venues across Berkshire and Bucks that don’t break the bank. 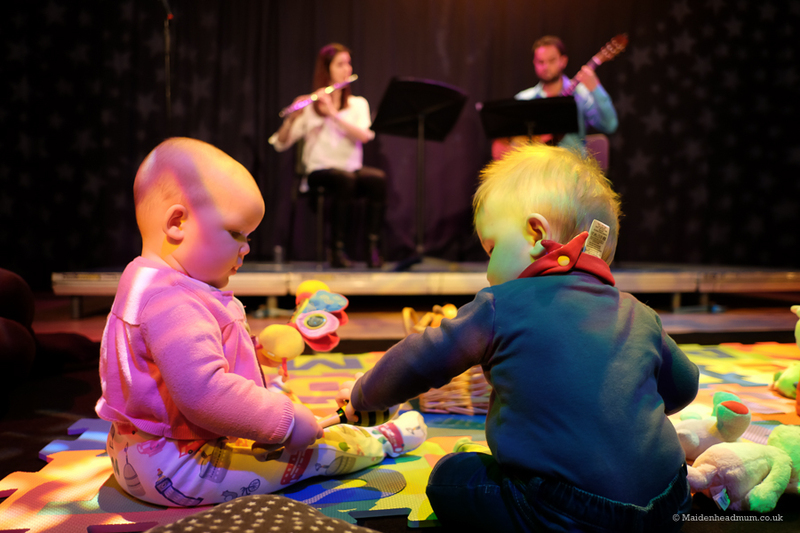 There are different musicians each time and each concert lasts for around 45 minutes which is just the right length to keep the children interested. Julia understands that you might need to feed the baby, or let the toddler potter around. It’s all encouraged. 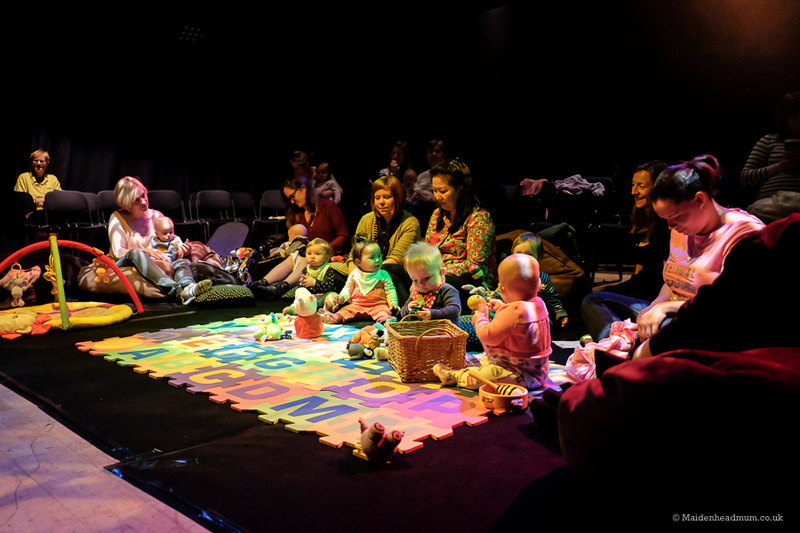 There are concerts for babies and toddlers up to 18 months and some for older children too. 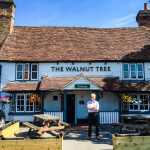 At the family concerts in Cookham, an adult ticket is £8.50 and children are free. Plus, as an added bonus, the concerts are often on a Sunday afternoon so it’s something that the whole family can do. 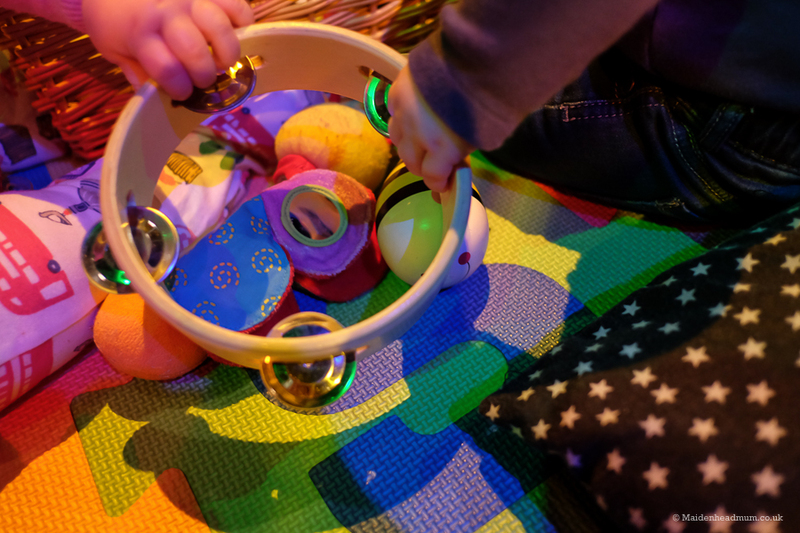 Unlike so many activuities for young children which take place during school hours or in the late afternoon, there’s no need to feel excluded for working full time. 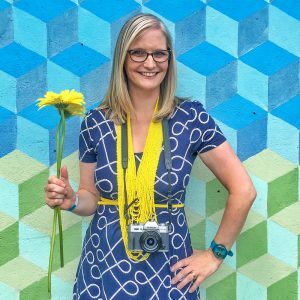 I was invited to bring my family along to the concert in return for an honest review here on the blog. As with all of my posts, I’m always keen to ‘tell it how it is’ so that my readers have genuine feedback from me. 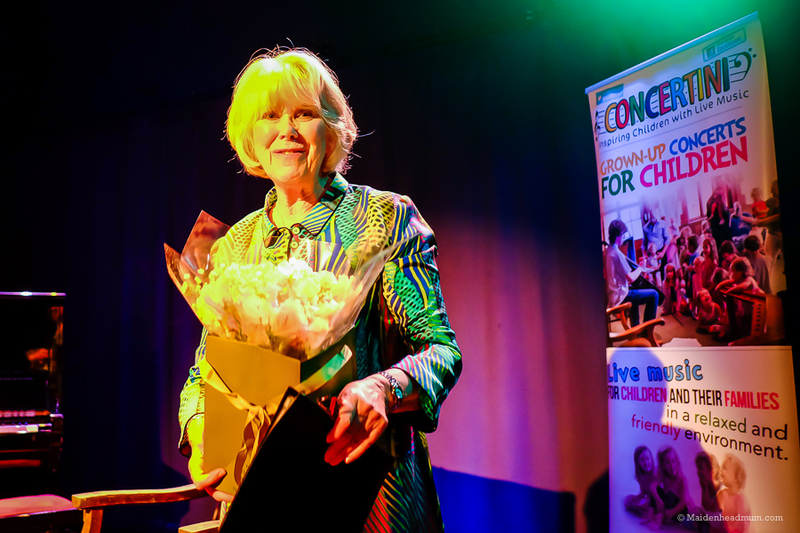 So as an added ‘behind the scenes’ truth, you should know that while my daughter was happy to colour in and even plucked up the courage to give Wendy Craig a bunch of flowers… it was a different story for my 11 month old. He spent most of the concert fractious, and sat outside with his Daddy for a lot of it. Realizing he had developed a temperature, we had to rush home to organize an out of hours doctor’s appointment at St Marks hospital after. Clearly intent on making my birthday one to remember, during the appointment he did a projectile poo across the room, narrowly missing both me and the doctor! Rather than leave you with that mental image, I’ll share some photos of him from a Concertini for babies that we went to earlier in the year. 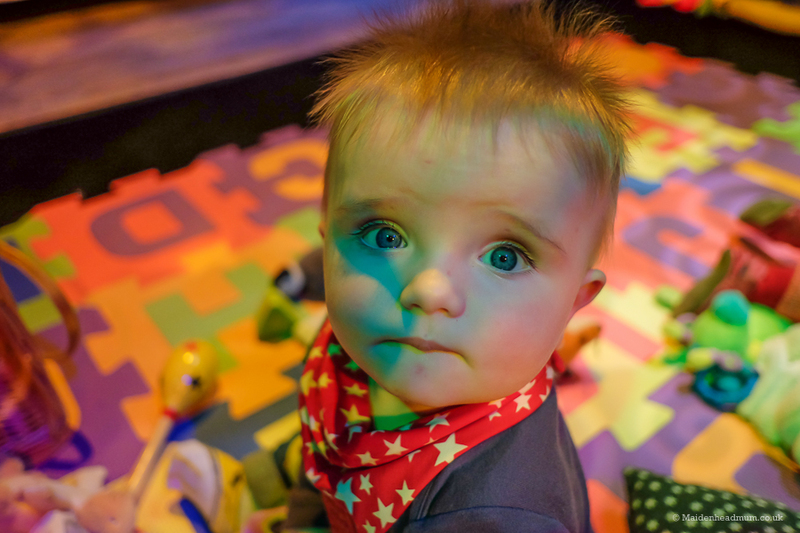 His first ever concert, his first experience of sitting up for more than 2 minutes unaided…and his first date! He had just learned to sit up un-aided and the combination of toys, music and good company meant that he sat up for the whole 45 minutes! Need to teach him some dating etiquette: ladies first! If you’d like to save this blog post on Pinterest just click the icon in the top left hand corner on this image.